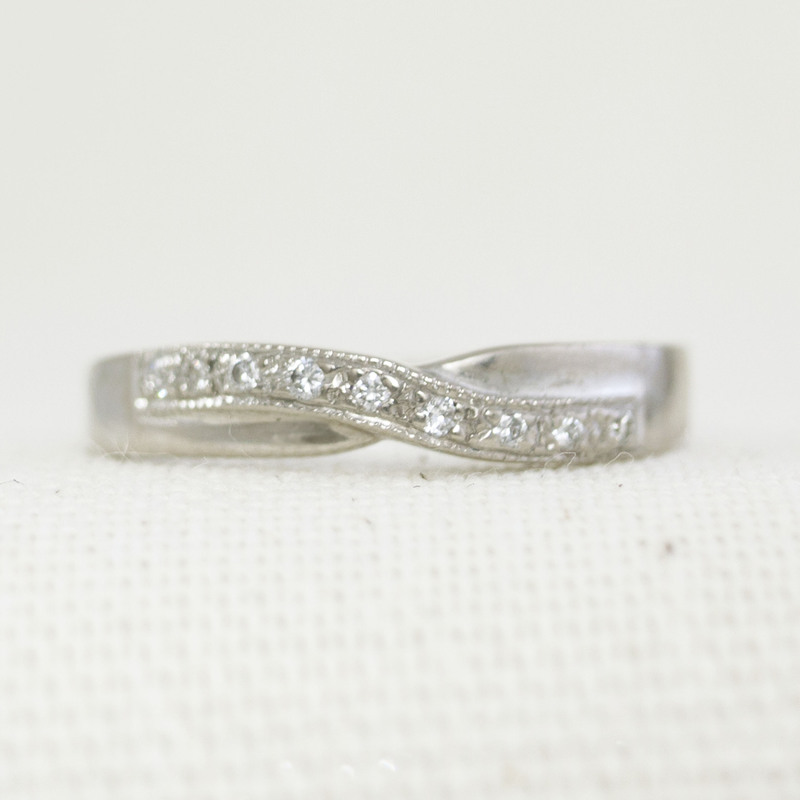 18k White Gold Twist Wedding Band. This wedding band is designed to sit neatly up against your engagement ring. 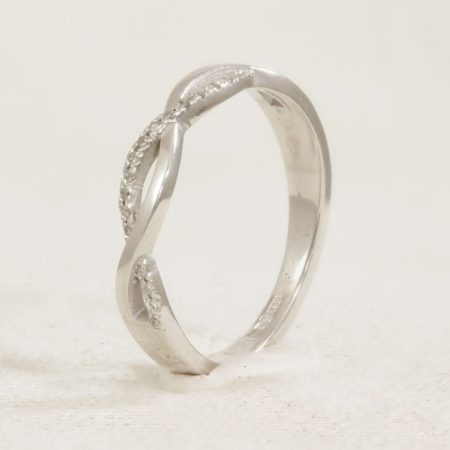 This can be custom made to sit in exactly against your ring to avoid rubbing against each other and damaging your engagement ring. 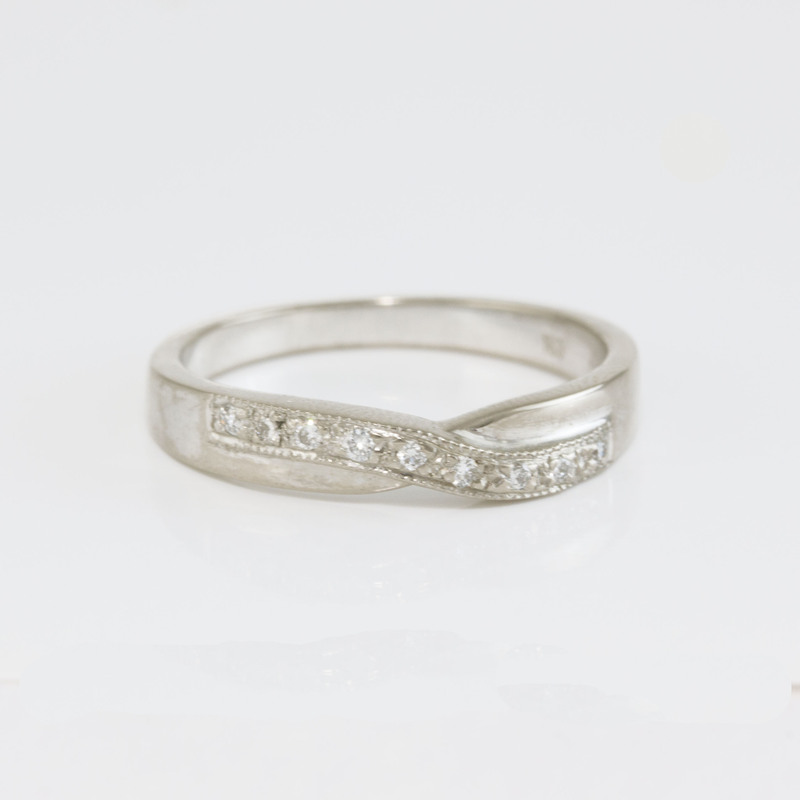 This piece is also available in other metals so this ring is fully customisable to suit your own style. 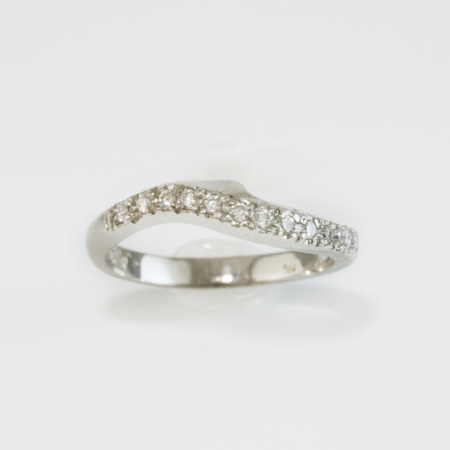 We work with 9 and 18k Yellow, White and Rose gold, We also use platinum and palladium so whatever your preference is we can make it. 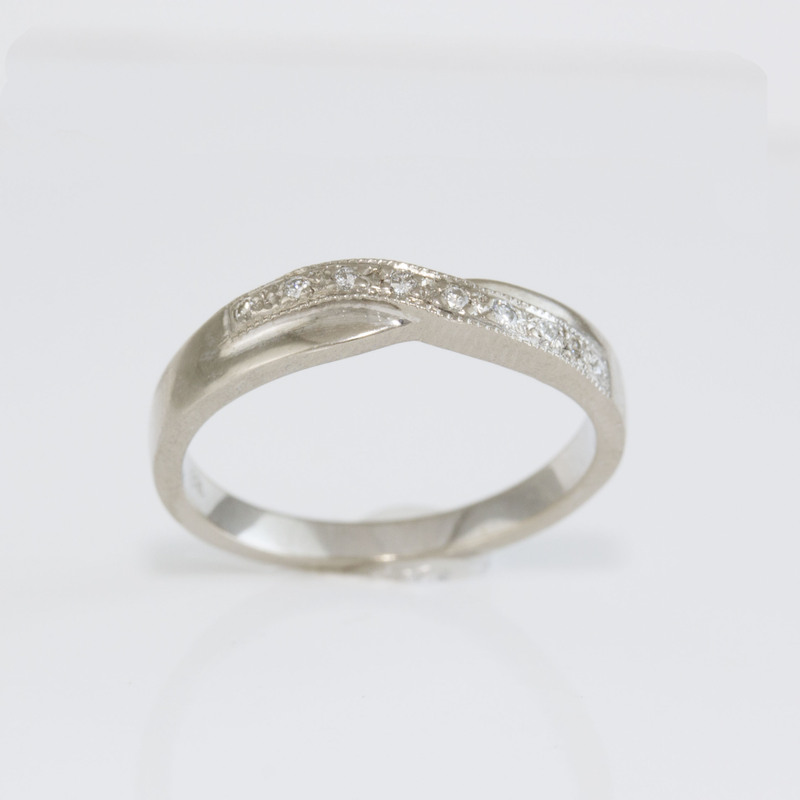 In Abana Jewellers we only cast in Solid gold so the colour of your jewellery will not tarnish or fade over time. 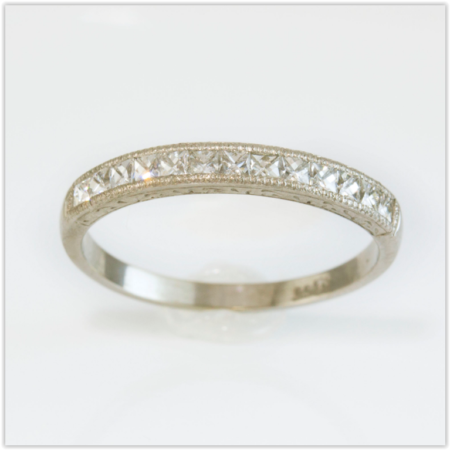 When working with white gold, we only use new high palladium white gold, this means that your jewellery will keep it’s white colour even after the plating has worn off. 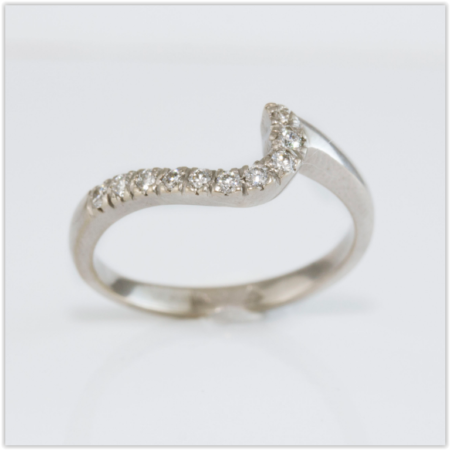 We also rhodium plate each piece for an extra high shine finish. As each piece is made to order, please allow 3-4 weeks before item will be shipped. If the order is required urgently please contact us and we will do our best to accommodate you.